Karen has worked extremely hard to develop the KB Pro range over the last two years. Enlisting the help of her trusted Elite Permanent Cosmetics Artists, to ensure the pigments were thoroughly trialled, tested, refined and produced to the highest possible quality and standard, Karen was passionate about pioneering a pigment range which would enable permanent cosmetics artists and medical tattoo artists like herself around the World to deliver the best possible results for their clients. Not only do the pigments glide into the skin more effortlessly and heal ‘truer’ to colour, they also fade to hues that still appear perfectly natural. 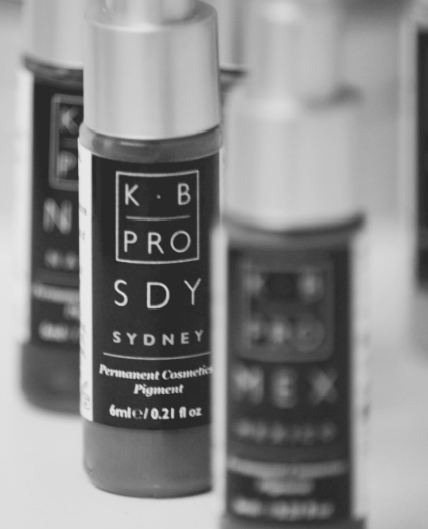 Karen Betts is one of the most prominent and notable names in the Permanent Cosmetics industry, and is proud to officially introduce KB Pro (Karen Betts Professional), her new range of pigments, which are made in the UK. The professional permanent cosmetics range, strictly designed for use by trained and qualified permanent cosmetics artists offers 12 brow pigments, 11 eyeliner pigments, and 5 adjusters. Within the range there are also 4 colour collections; the Vogue Pigment collection (a vibrant eye pigment colour collection), the Back and Grey collection, the Day Brow Pigment collection and the Night Brow collection. An adjuster collection is also available. A Professional Colour Guide for the pigment range is available which gives invaluable insight into how to get the best from the range, select pigments, blend and adjust pigments to suit specific client skin tones, and also give in-depth summaries and case studies for each pigment. The pigment range is now available for professionals to purchase at Nouveau Beauty Group, with introductory promotional offers which are valid for a limited time only, and the colour guide will be available to purchase shortly. In support of the her new pigment range, Karen has also created KB Pro Education, an educational forum on Facebook which permanent cosmetics artists can join to gain more information and insights into the pigments and other products in the KB Pro range. Through the forum, professionals can also benefit from exclusive advice and support from Karen and her Elite Team, alongside industry and educational updates, and professional tips.